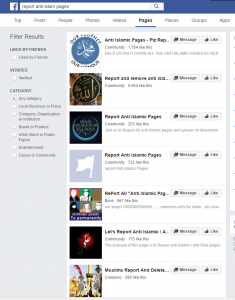 Atheist and ex-Muslim organizations and groups are finding themselves yet again the target of censorship campaigns by religious conservatives – this time with the aid of Facebook’s reporting mechanism. 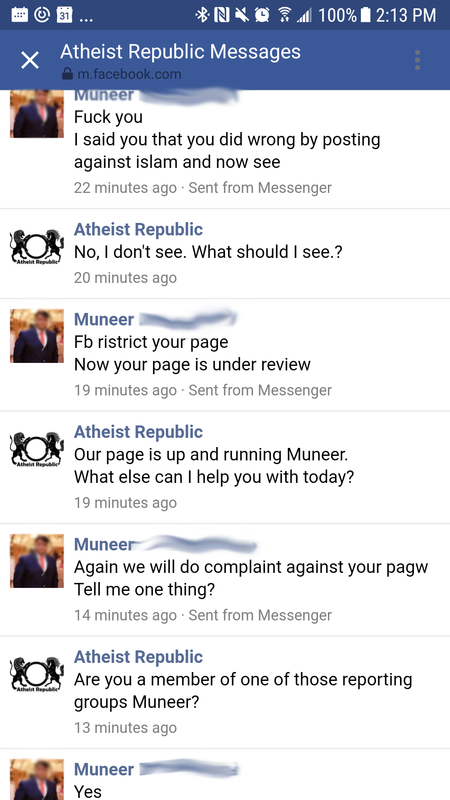 Following what appears to be a coordinated reporting and flagging campaign on Monday– groups such as Ex-Muslims of North America and Atheist Republic faced unnecessary restrictions on their pages limiting their reach on the social media platform. Posts made by these pages were blocked from appearing in News Feeds – a measure Facebook claimed was “temporary” and in response to violations of its terms of service and community standards. No details were given as to which standards were allegedly violated, however. By the following morning, Atheist Republic’s Facebook Page with over 1.6 million followers – fostered over the course of six years – had been deleted, with no further explanation. Nearly 40 secular and atheist organizations have signed a letter asking that Facebook improve its reporting system to protect vulnerable groups that rely on its services. The organizations request that Facebook create a whitelist for Groups and Pages which are determined as vulnerable to malicious attacks. They also ask that reports and flags aimed at these groups should not be handled by automated mechanisms but reviewed and given due consideration by a trained Facebook employee. Further, they request that Facebook should penalize individual accounts and groups which are found to have been repeatedly abusing its reporting system. 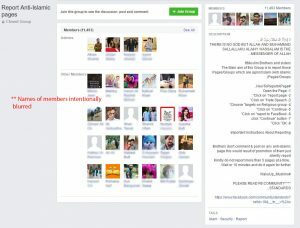 Online spaces like Facebook are the last refuge for many atheists and secularists in the Muslim world. Apostates are persecuted by governments, threatened by fundamentalist theocrats, and murdered by vigilantes all over the Muslim world and beyond. Even in the West, many apostates hide their lack-of-faith from friends and family for fear of retribution and social ostracization. The internet, however, has provided this vulnerable minority with a sense of community that can be impossible to attain in their everyday lives. Atheists can share their beliefs, spreading their ideas and literature in anonymity – considered by many to be a key factor in the rise of atheist visibility in the Muslim world. Facebook in particular has been a boon to community-building efforts among persecuted minorities around the world. In fact, the greater the persecution faced by the group, the more vital the online connectivity and activism. 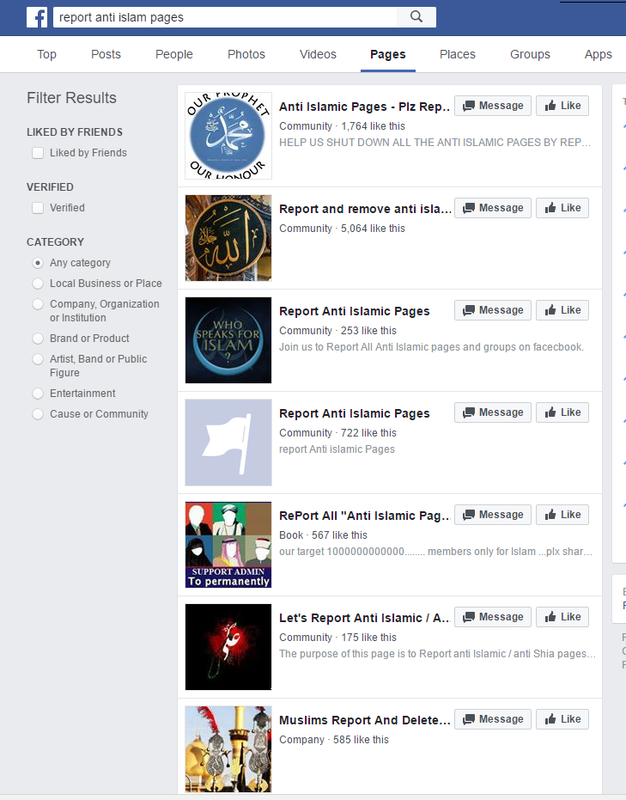 However, even online, these groups maintain a precarious position, as coordinated attacks using Facebook’s reporting tools are simple and effective. Ironically, the same social media which empowers religious minorities is susceptible to abuse by religious fundamentalists to enforce what are essentially the equivalent of online blasphemy laws. 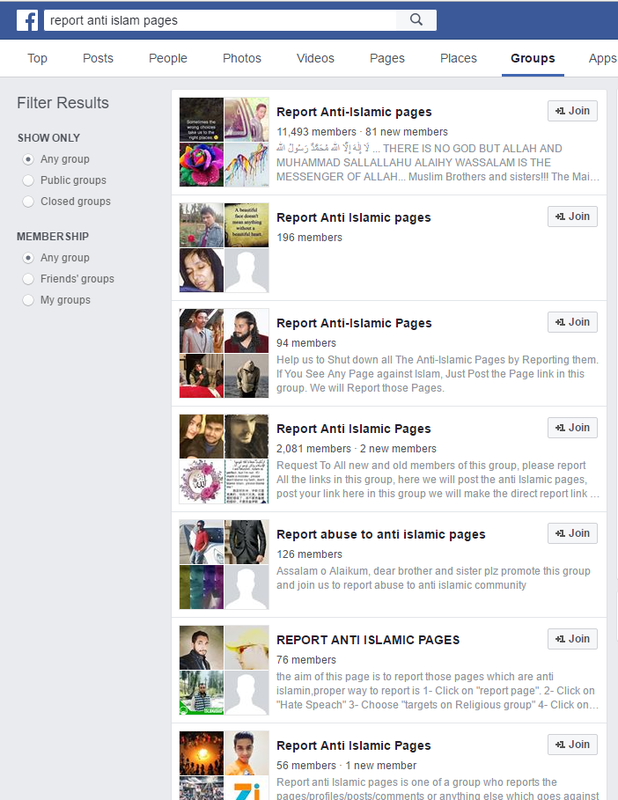 A simple English-language search reveals hundreds of public groups and pages on Facebook explicitly dedicated to this purpose – giving their members easy-to-follow instructions on how to report public groups and infiltrate private ones. Attacks of this nature are not new. 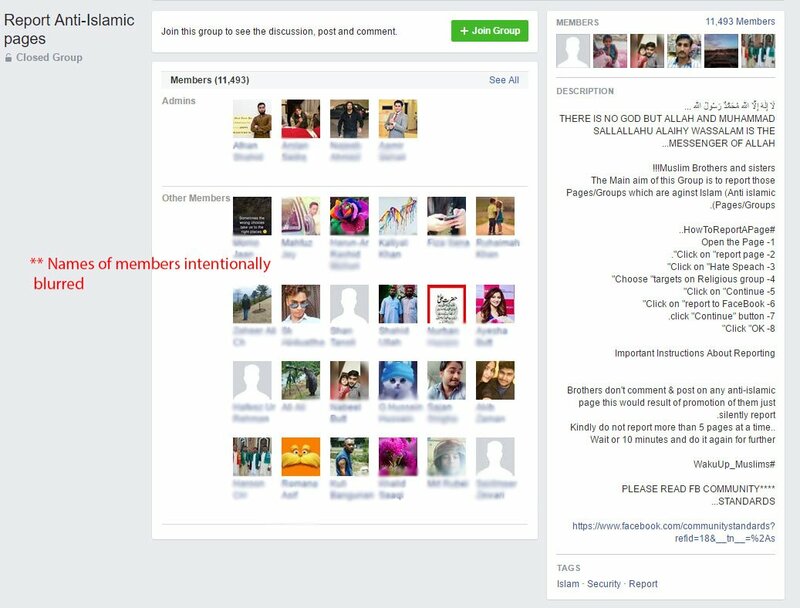 Arab atheists, Bangladeshi secularists, and numerous other groups have been under attack for years, as religious conservatives in the Muslim world learn to abuse Facebook’s reporting system to their advantage. 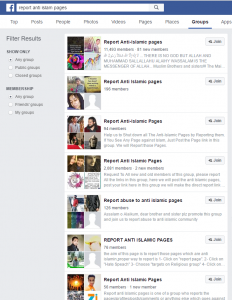 Early last year, multiple atheist and secularist groups were targeted with mass, coordinated infiltration and reporting – leading to the closure of many groups. These groups were eventually restored, but only after a lengthy and sustained effort by organizers to draw public attention to the issue. 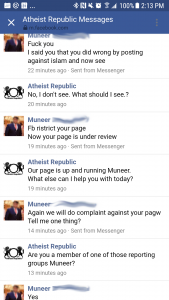 After appealing their case, Atheist Republic and Ex-Muslims of North America were also able to regain full access to their Pages. Unfortunately, that did not last – Atheist Republic was taken down again only a few hours later. They, along with dozens of other atheist and ex-Muslim groups, remain vulnerable to future harassment and targeted campaigns.